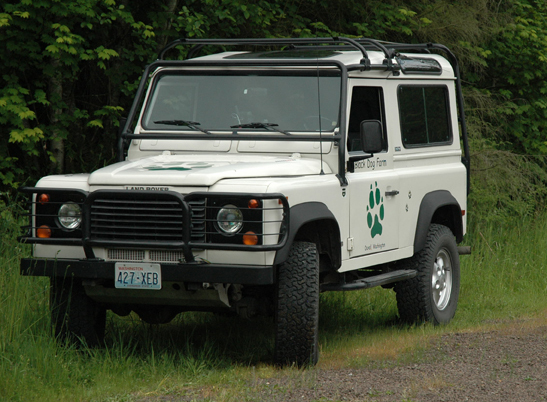 This 1997 Land Rover Defend­er goes by the name Tug­ger. After many years of being ded­i­cat­ed to haul­ing around dogs, Tug­ger recent­ly under­went a retro­fit that restored his back half to a peo­ple mover. 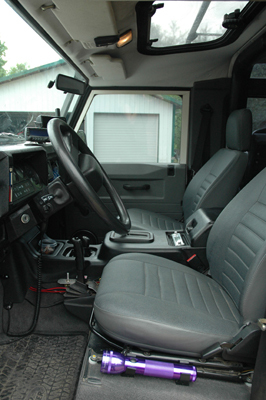 First we had a lit­tle work done on the front seats. 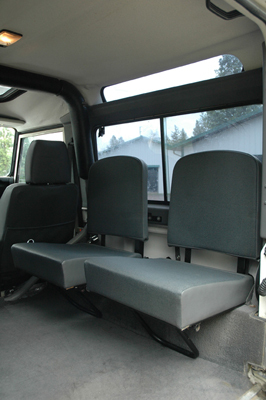 The dri­vers seat back was rebuilt and both front seats had heat added. We start­ed on the back. 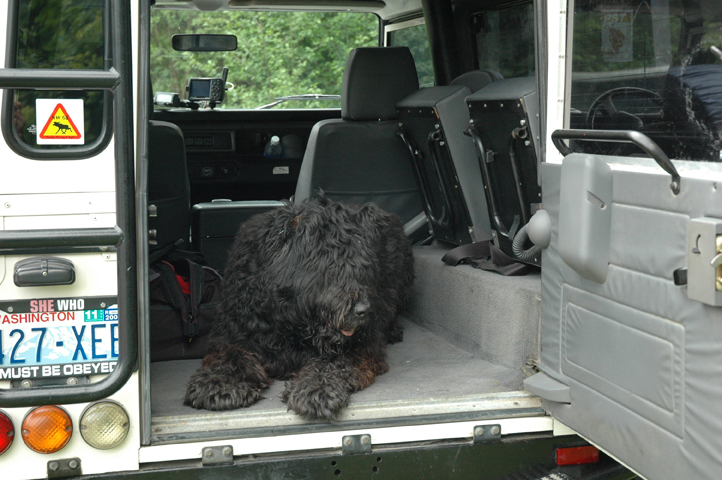 We removed the dog bar­ri­er and the Tuffy box. Then we rein­stalled the jump seats. 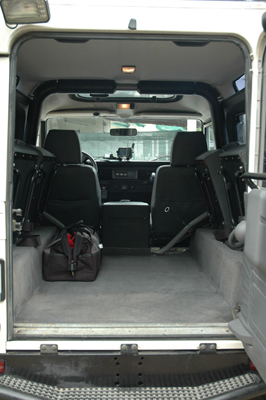 Scrubbed vac­u­umed and tidied. Tug­ger cleans up quite nice­ly, eh?